Heat the oils in a large, heavy skillet. Add the tempeh, brown one side, flip over and brown the other side. Combine mustard, water and shoyu. Mix and pour over the tempeh. Cover, bring to a boil, reduce heat to medium low and simmer about 7 to 10 minutes. Remove the lid, turn heat to high and cook off remaining liquid. 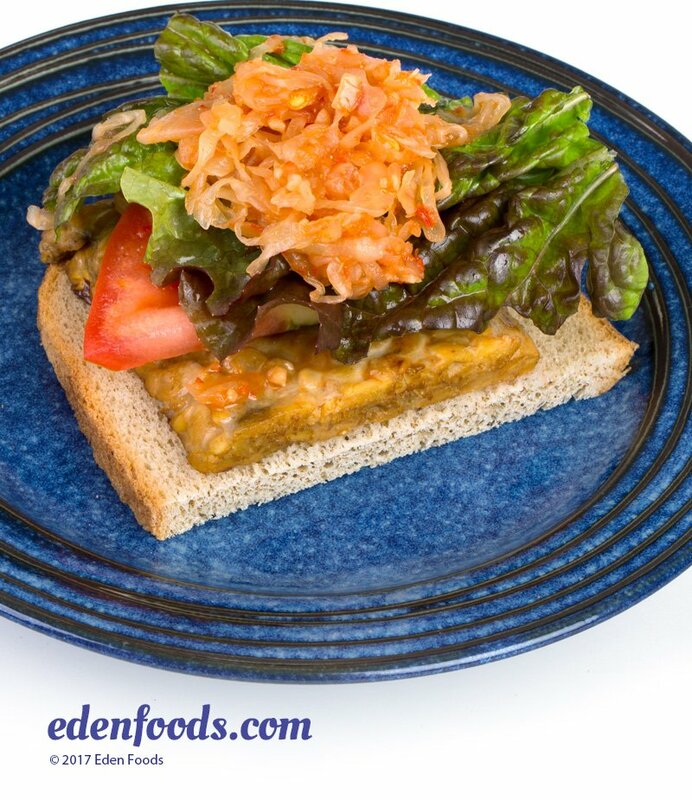 Place equal portions of tempeh, lettuce, tomato and sauerkraut on each slice of bread and serve.